Urbanna Seafood & Raw Bar is hosting the September Oyster Academy sessions. You will get to touch and learn first-hand about the creatures of the Chesapeake Bay on the dock. Come aboard a deadrise boat and meet an authentic waterman. Watch demonstrations of oyster tonging and crab pot pulling. Try it for yourself! 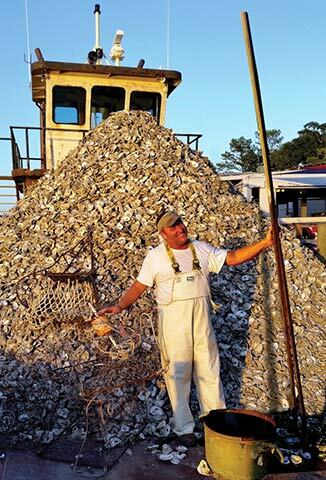 Tour the shucking house, aqua farm and view the soft shell crab shedding floats and learn how oyster shells are recycled. See what it takes to get those wild oys-ters to your local restaurant! Next up is the “Shucking 101 class at the waterfront pic-nic tables. Watch demos on how to pry those little river treasures open, and of course, taste samples of raw oysters on the half shell – fresh from the Rappahannock River! Lunch is included: Your choice of Fried Oysters, Crab Cake or Chicken Tenders with a side dish and drink. Bring your cooler and take home fresh seafood from the Urbanna Seafood Market. Stay and enjoy a craft brew or a glass of wine (not included in the package) with the majestic views of the river and the cool breeze of the salty air. Reservations are required (804) 758-8588 for the Oyster Academy and are non-refundable. Groups will consist of 15 people or less. Adult price is $99.00 and Children 12 years old and under are $69.00.